Why Beneficiary Designations are not a Substitute for Trusts | The Levin Law Firm - Philip Levin, Esq. 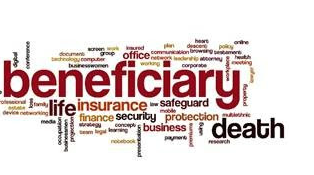 TOD (Transfer on Death) designations, POD (Pay on Death) designations, and beneficiary designations for life insurance and annuity contracts are useful in the right circumstances. Each of these tools allows for an automatic transfer or distribution to the named beneficiary at the death of the owner. But these type of designations can have a few shortfalls. First, if the named beneficiary predeceases the owner, thjs type of designation will not be effective to transfer the asset. However, in most cases, the account owner can designate a contingent beneficiary, to ensure that the asset distributed in accordance with the client’s wishes. But, if there is no contingent beneficiary, or if the contingent beneficiary also predecease the account owner, the asset may end up in the probate estate if the decedent passed away with a valid Last Will and Testament, which in many cases is what the owner was trying to avoid. And if the client died without a valid Will, then the asset would distribute to individuals under the intestate laws of the state where the client was domiciled at the time of their passing. In some cases, the account agreement with the financial institution might specify an alternate disposition, like to the spouse or next of kin rather than the probate estate of the owner, which is often the case when employer provided retirement plan accounts distribute in the absence of a designated beneficiary who survives the account owner. Joint tenancy of property between a decedent and a surviving beneficiary may also has similar drawbacks. Upon the death of the last surviving joint tenant, the property is included in that owner’s estate. Joint tenancy has an additional hazard during lifetime which can be illustrated by the following example: Mary has only one child, John. Mary wants to transfer all her assets to John at her death. She hears that an easy way to avoid probate is to add John as a joint tenant, so she does that. John gets sued. Unfortunately, Mary’s property held in joint tenancy with John is an asset that can be subject to John’s creditors, including his spouse in the event that John should go through a divorce. As a result, the “easy” estate planning method of transferring property at death became quite costly for John, since the outright receipt of jointly owned property, or distribution by a simple beneficiary designation, provides absolutely no protection for the beneficiary from their current or future creditors. Another drawback of TOD and POD beneficiary designations, and ownership of property by joint tenancy, is that these types of property ownership do not plan for the incapacity of the account owner. In other words, if the owner becomes incapacitated, the existence of that form of ownership does not provide management of the asset during the owner’s life. A Revocable Living Trust is typically a much better solution for clients, and avoids all of the drawbacks detailed above, including management of assets in the event that the client suffers an illness, injury, or incapacity during their life. More specifically, the disposition of property at death can be much more flexible, which Trust can include multiple contingent beneficiaries upon the lassing of a client. In addition, the Trust can include specific provisions to ensure that specific assets distribute in the right manner, and at the appropriate time, to designated beneficiaries. In addition, by including appropriate provisions in the Trust, assets which fund the Trust are not exposed to the beneficiary’s potential creditors, whichbos not th case with joint tenancy of property between a decedent and individual beneficary. Finally, through inclusion of Successor Trustee provisions, a Trust can easily provide management of assets during an owner’s illness, injury, or incapacity. While a Durable Financial Power of Attorney could also accomplish asset management objectives, POAs are often not as readily accepted due to the reluctance by financial institutions’ to rely solely on these documents due to many incidents of fraud. Our experience reveals that a Revocable Living Trust is much more readily accepted by a wide variety of banks, brokersge firms, and other financial institutions. As detailed above, while joint tenancy, TOD, POD, and beneficiary designations are simple, and can work in some circumstances, these type of beneficiary designations often have their drawbacks.